Nike Sportswear prepares for the spring with a refreshing take on the Air Max Lunar90 for the ladies. The updated Air Max 90 utilizes a full Hyperfuse constructed upper, along with a heel Air equipped Lunarlon sole sitting down below. Grey takes care of the lightweight upper with white hitting the Swoosh logos, while mint green takes care of the lower eyelets. Atomic orange takes care of the collar lining, along with the Lunarlon midsole below. 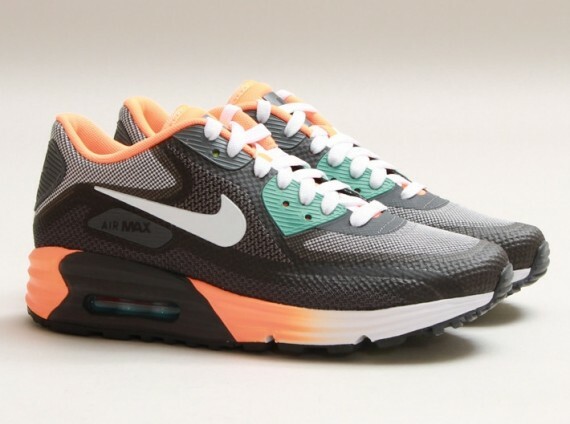 The Anthracite/Atomic Orange Nike WMNS Air Max Lunar90 is now available from select retailers such as CNCPTS.